We provide same-day office appointments for new patients who need to be seen urgently. For your convenience, we aim to facilitate and complete all labs, imaging, procedures and referrals in a single appointment. We can help you make sense of your previous lab tests and results and partner with you to make the best plan going forward. Learn more. In addition to routine colorectal procedures, we offer unique capabilities in ileoanal pouch surgery, complex reoperative abdominal and pelvic surgery. Our highly experienced surgeons are often able to maintain or restore continence when other centers are unable to provide such options. Learn more about our innovative treatments. Health Care providers looking to refer or transfer, click here. 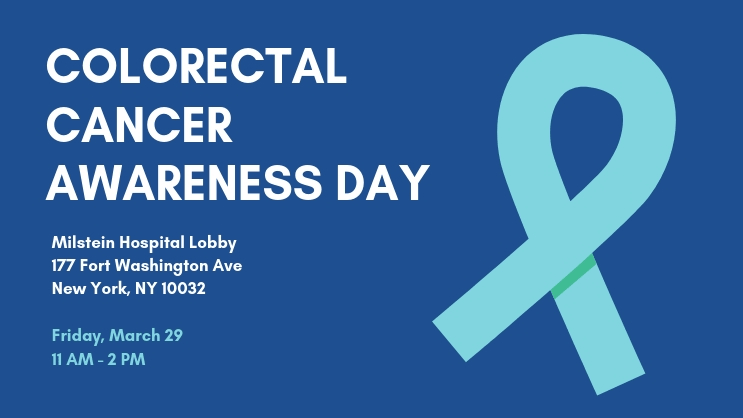 March is colorectal cancer awareness month, and to help get the word out, Columbia colorectal surgeon Deborah Keller, MD is teaming up with the Colorectal Cancer Alliance for a Facebook live streaming event to answer your questions. For appointments to any of following locations please call 212.342.1155.